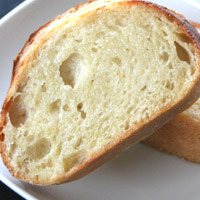 The combination of this homemade crusty french bread, fresh garlic and butter makes this a favorite at our house! Make bread. 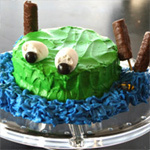 Be sure it is cool before slicing. Crush garlic into butter. Mix well and set aside. 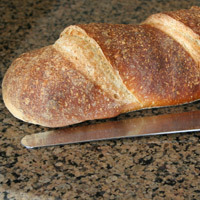 I recommend making the french bread or purchasing a high quality, crusty loaf. The combination of this with the fresh garlic and butter is delicious. With a poor loaf of bread, it won't be half as good. Use fresh garlic. It tastes great here! Heat oven to 350. Set out a baking sheet with a cooling rack on top of it. 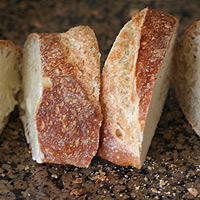 Cut bread into slices 1 inch thick. Butter one side of each slice. Starting at one end, butter one side and the side of the next slice that touches it. Don't butter the back or the side of the slice that touches it. Butter the back of the third slice. Continue until each piece is buttered on one side. Realign the loaf and place it on the prepared cooling rack. Placing a cooling rack on to of a baking sheet allows the crust to crisp all the way around. It is fine to bake it directly on a baking sheet, but the bottom crust won't be quite as crisp. Heat in oven until butter is melted all the way through, about 10 minutes. Serve hot! If preparing a few hours ahead of time. Cover in plastic wrap and refrigerate until ready to heat. This bread is best when eaten the day it's made. 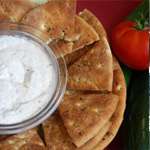 If you make it a day or more ahead of time follow the instructions for freezing and storage. 1. Make (1)bread. 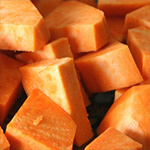 Be sure it is cool before slicing. Crush (2)garlic into butter. Mix well and set aside. 2. Heat oven to 350. Set out a baking sheet with a (3)cooling rack on top of it. 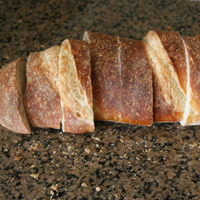 Cut bread into slices 1 inch thick. Butter one side of each slice. Starting at one end, butter one side and the side of the next slice that touches it. Don't butter the back or the side of the slice that touches it. Butter the back of the third slice. Continue until each piece is buttered on one side. 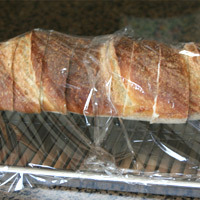 Realign the loaf and place it on the prepared cooling rack. 3. Heat in oven until butter is melted all the way through about 10 minutes. Serve hot! If preparing a few hours ahead of time. Cover in plastic wrap and refrigerate until ready to heat. 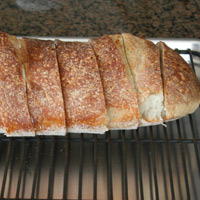 When I make french bread I make a double recipe. When it is cool I follow the instructions above, wrap it well in plastic wrap and freeze it up to 4 months. To defrost, set on a counter a few hours ahead of time, then heat in the oven. 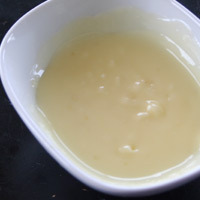 To defrost quickly, microwave 1 minute, turn it upside down and microwave an additional minute. Then heat in the oven as described above. 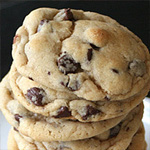 It is best to heat it in the oven after defrosting so the crust gets crisp. You can freeze and remove only a few pieces. Defrost and bake a few minutes to melt the butter and crisp the crust. 1. I recommend making the french bread of purchasing a high quality, crusty loaf. The combination of this with the fresh garlic and butter is delicious. With a poor loaf of bread, it won't be half as good. 2. 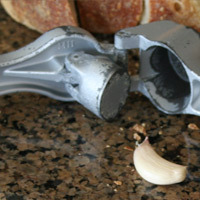 Use fresh garlic. It tastes great here! 3. Placing a cooling rack on to of a baking sheet allows the crust to crisp all the way around. It is fine to bake it directly on a baking sheet, but the bottom crust won't be quite as crisp.